Spring Drought No Problem For Active Highs! As you may have noticed the last month has been exceeding dry with very little rain. This has meant that the Scottish rivers have been very low and in some cases almost dry! This is where Active Highs are extremely fortunate in that we have access to the best guaranteed white water rafting in Scotland due to the weekly dam releases from the River Garry. As there is an act of parliament to protect the release regime at the Garry we will always have our weekly white water rafting trips available even during the driest of weather! 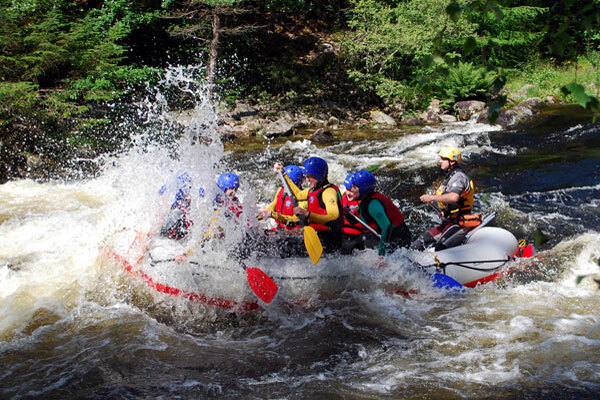 So make the most of the nice weather and come rafting!